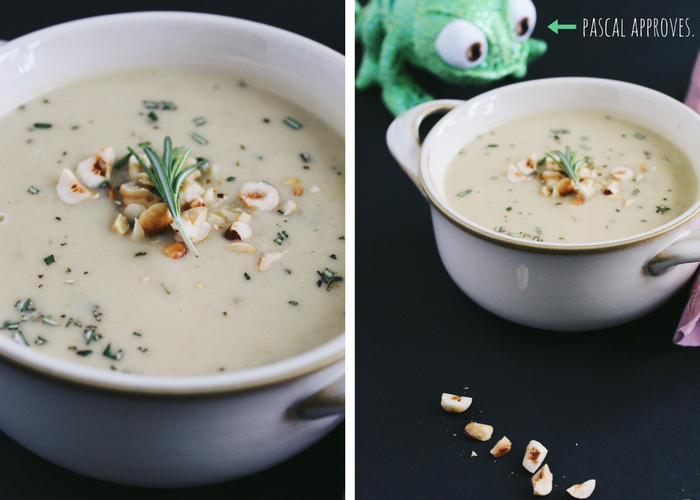 This Hazelnut Parsnip Soup is a delicious, creamy soup inspired by Disney’s Tangled! 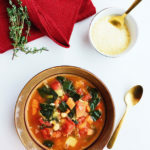 It’s Rapunzel’s favorite soup, and soon it’ll be yours, too! Tangled is my jam. I love Pascal and Max. I have a Snuggly Duckling sweatshirt. And I adore Zachary Levi, the voice of Flynn Rider slash Eugene Fitzherbert. I’m not ashamed of being a 30 year old woman (with no children) who loves a Disney movie. And (so exciting!) Tangled is becoming a new series on the Disney channel, starting this Friday, March 24th. Which also happens to be my birthday. So, naturally, I decided to make a recipe to commence the event. Because I’m that much of a nerd. 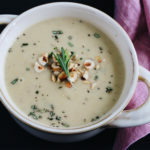 I decided to make Hazelnut Parsnip Soup, Rapunzel’s favorite soup. Or at least my version of it. And it’s pretty much meant to be, because I love parsnips. I mean, I named my website after them, after all. 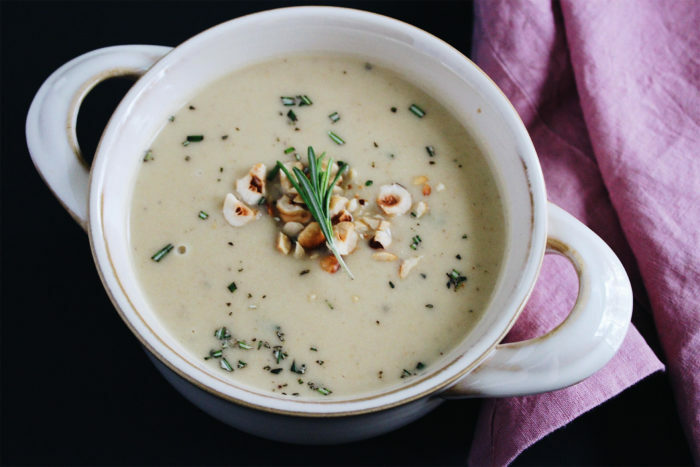 There’s no actual recipe for this soup, but thanks to Mother Gothel we know that it contains hazelnuts and parsnips at least. I’m not the first nerd to recreate this soup. But I decided I wanted my version to be rich, creamy, and complex. I achieved this by caramelizing the shallots and leeks, adding in a touch of milk, and roasting the acorn squash. 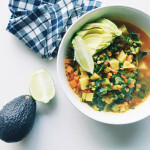 I chose my flavor components carefully to create a hearty soup that was still earthy. 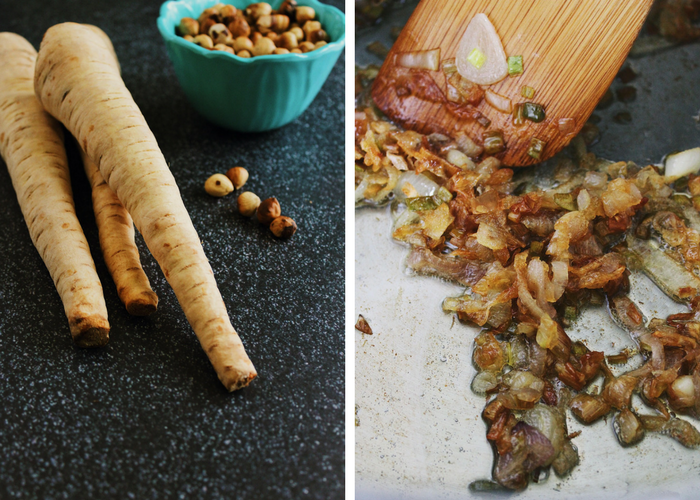 Parsnips are incredibly earthy and I love their flavor. 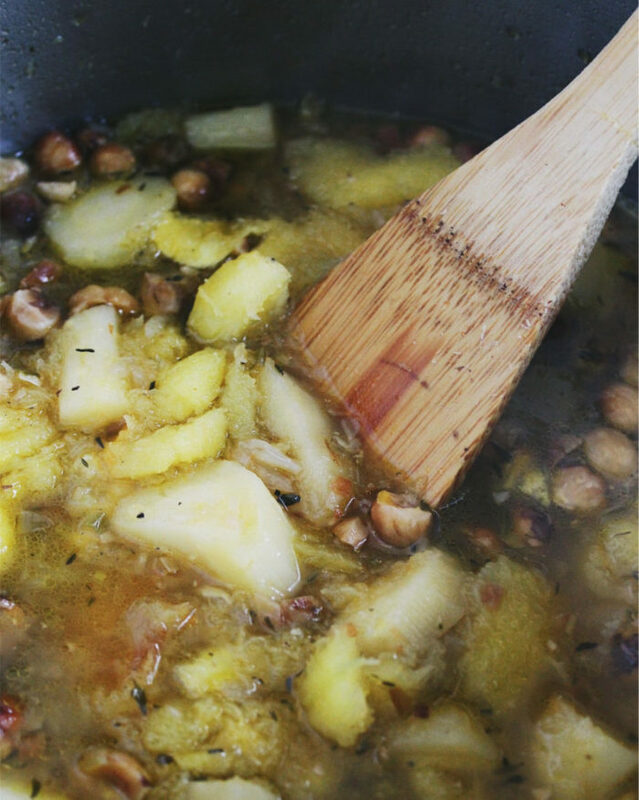 I wanted to make sure both the parsnips and the hazelnuts were the star flavors of the soup. Roasting the acorn squash really brings out its slightly sweet, nutty flavor, which also pairs lovely with the parsnips and hazelnuts. 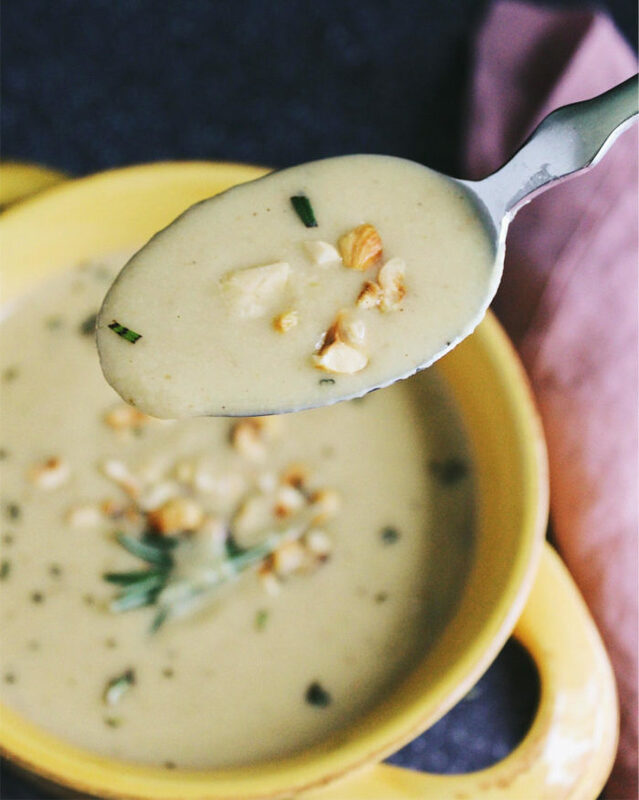 Acorn is very tender and delicate, adding to the texture of this creamy soup. 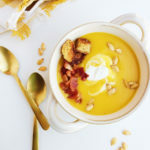 But you could also use butternut squash here. 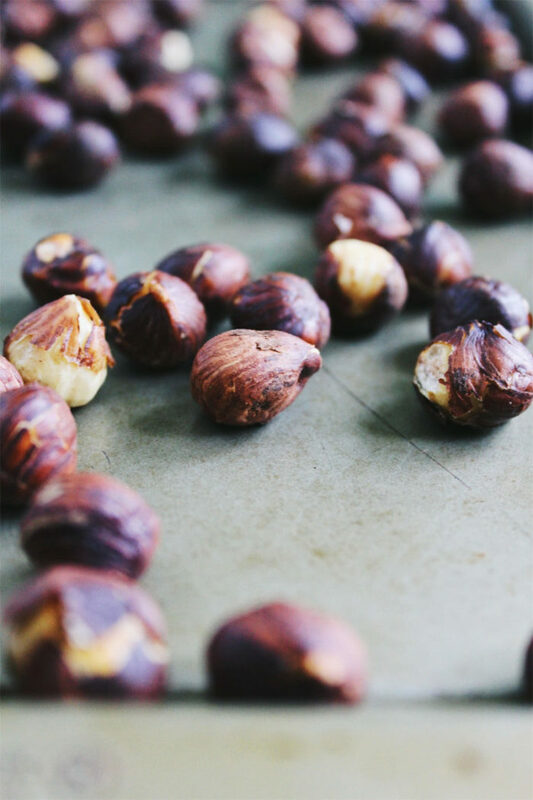 Fresh rosemary and a sprinkling of toasted hazelnuts bring everything together. In the words of Flynn Rider, oh mama! 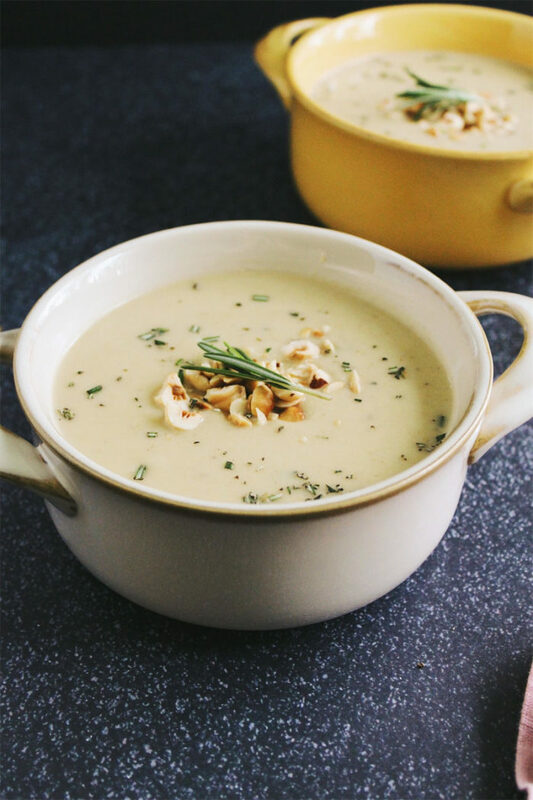 I hope that you enjoy this Hazelnut Parsnip Soup! Are you a Tangled fan? What’s your favorite Disney movie? Let us know in the comments! This post contains affiliate links but are always products I highly recommend. Preheat the oven to 400 degrees. Cut the acorn squash in half lengthwise and remove the seeds. 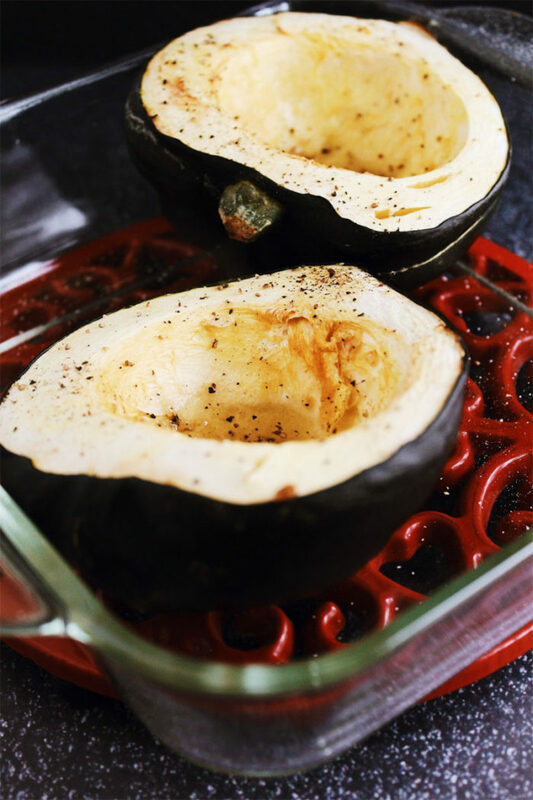 Place the squash cut side up on a roasting pan or baking sheet and drizzle with olive oil, sea salt, and pepper. Roast the squash until tender, about 45 minutes to 1 hour. In the meantime, heat a stock pot with the 2 tablespoons each of olive oil and butter. Add in the leek and shallot and saute until beginning to soften. Turn the heat to low and cook until the leek and shallot are golden and caramelized, about 15 minutes. Add in the vegetable broth and deglaze the pan. To the broth and onion mixture, add the peeled and chopped parsnips and about 3/4 of the hazelnuts, reserving some for garnish. Season with sea salt, pepper, and thyme. Bring the broth to a boil, and then turn to low, cover, and simmer. Let cook until the parsnips are tender, about 20 minutes. When the acorn squash is cooked, scoop out the flesh and add it to the soup. Working in batches, puree the soup in a blender until creamy and combined. 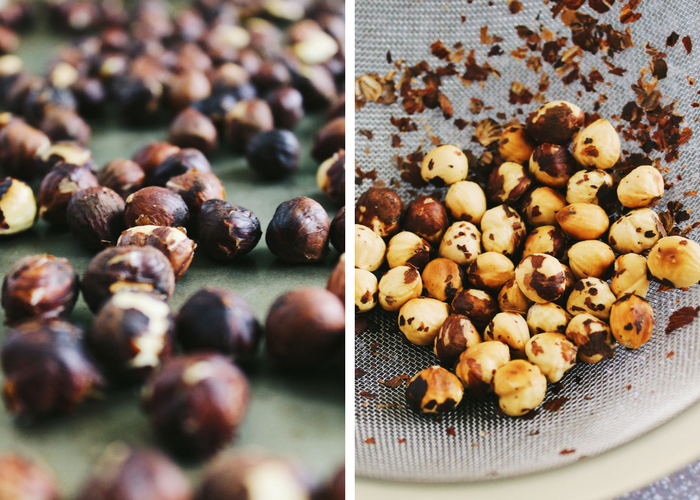 Strain the soup through a fine mesh strainer to remove any of the hazelnut bits. Add the creamy soup mixture back to the same stock pot. Over low heat, stir in the milk and fresh rosemary until combined and heated through. 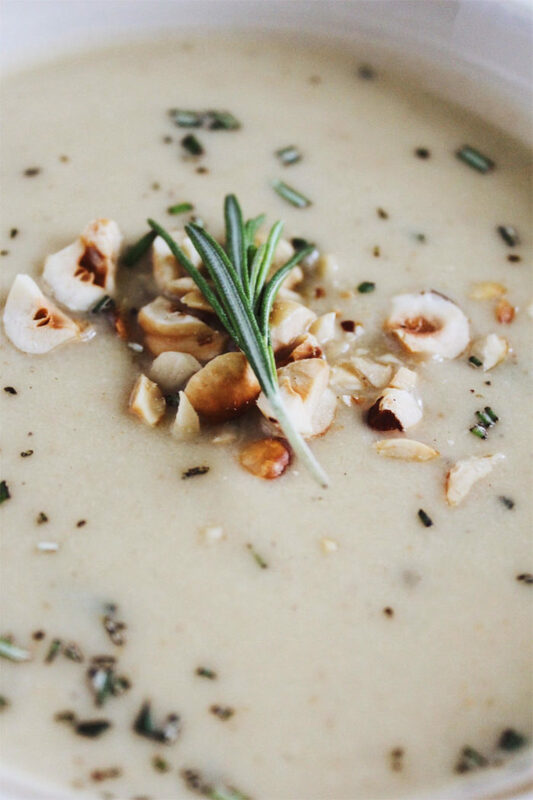 Serve topped with additional chopped hazelnuts and fresh rosemary. Enjoy! Oh mama! I gotta get me one of these! Last year I discovered parsnips and love them! Soooooo good roasted and drizzled with maple syrup! 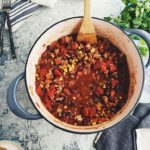 Every fall/winter season I try new soups and this is on the list. How much squash (as in # lbs.) and is the photo a white acorn squash? I’m thinking yes since the soup is cream-colored. Thanks. 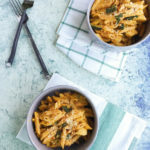 I love that this recipe is vegetarian. Could I use a almond milk in place of cows milk? 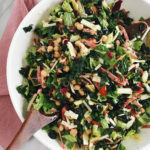 My sister is vegan and I want to make this for my family. Brooke, yes! This should work fine with using unsweetened almond milk, or even coconut or hazelnut milk. You could also leave out the butter for vegan and just use additional olive oil, if needed. Forecast says rain all week, which means – making this, getting blankets, and watching Tangled everyday hahaha. This looks so delicious though and those flavors have got my mouth watering.